Decent blaster but not worth its price. 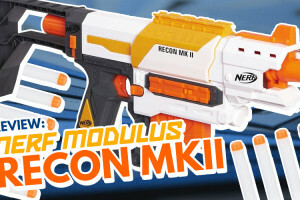 The N-Strike Modulus Recon MK 2 is a welcoming addition to the Modulus line. 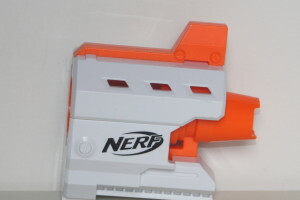 From its name, it’s the second version of the fan favourite N-Strike Recon. 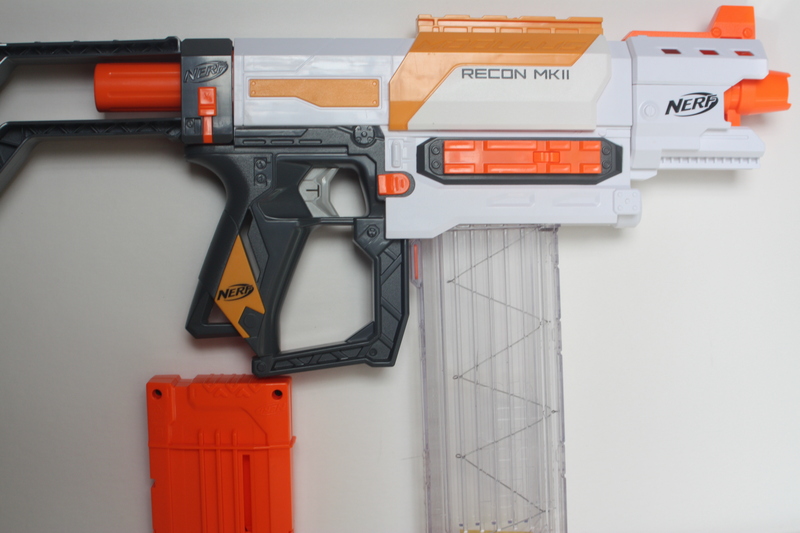 While having practically the same internals as a Retaliator, is this a true upgrade to the Recon/Retaliator? 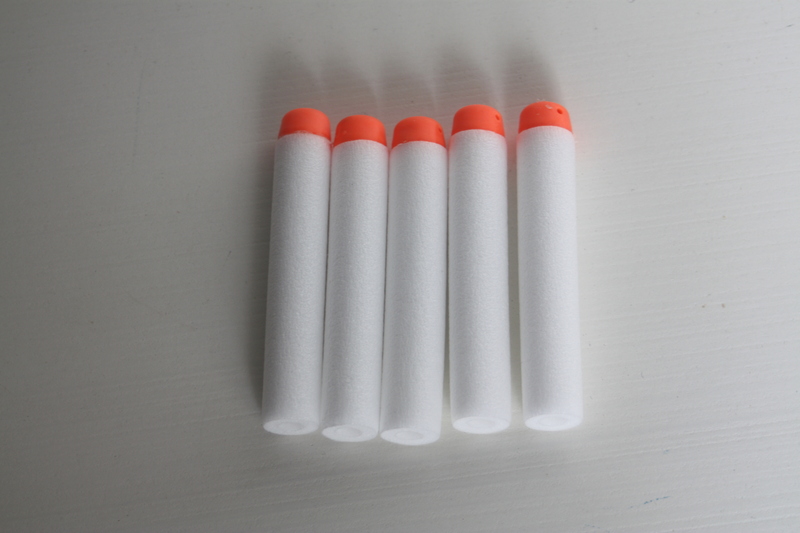 Included with the blaster are 6 modulus darts, a stock, a barrel extension and a six-dart clip. 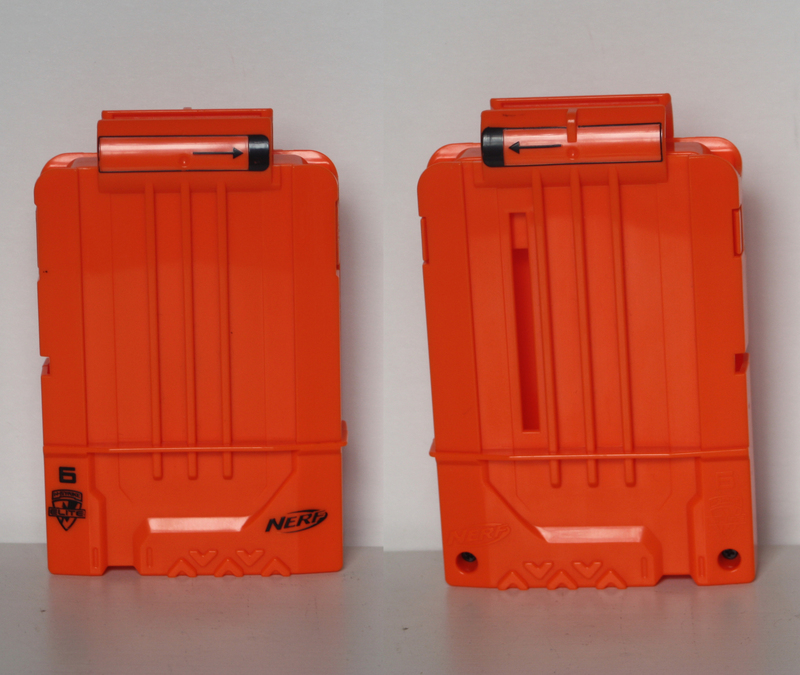 Strangely enough the clip is solid orange on both sides (all N-Strike Elite six dart clips have an opaque side). Both extensions of the blaster unit are extremely small. 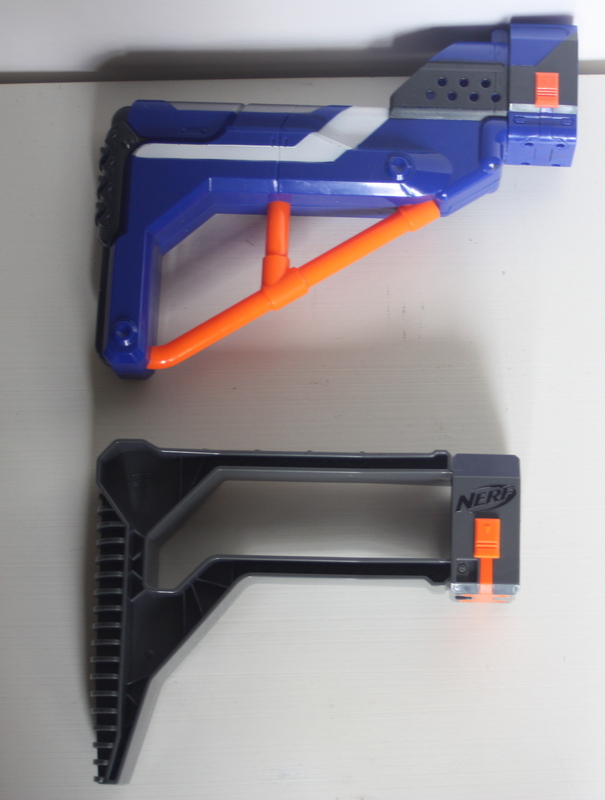 The stock is even shorter than the Retaliator’s! Since the stock is so short it’s too uncomfortable to use. 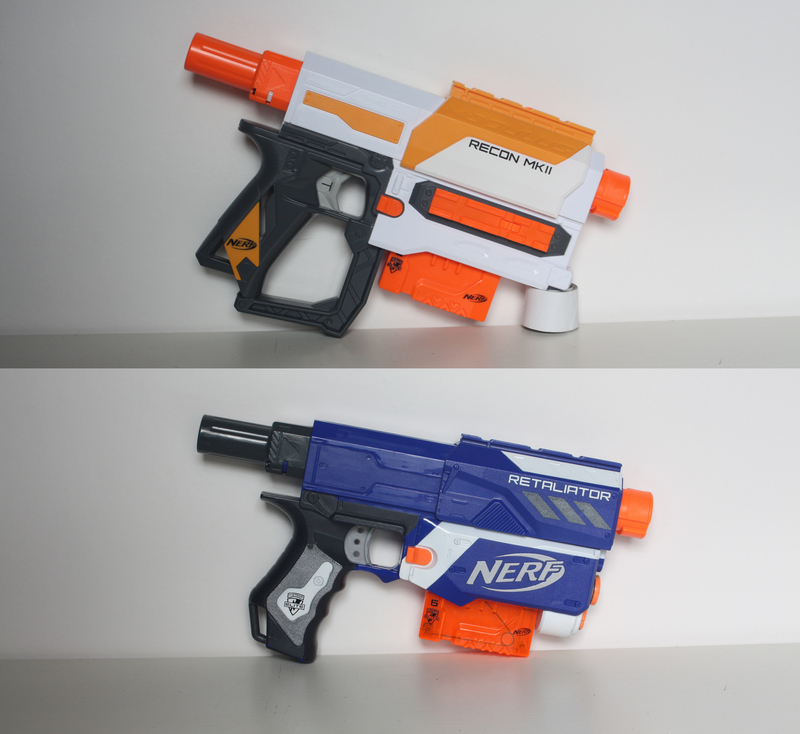 If I’m correct, the Modulus Recon MK 2 contains the smallest attachments for any Nerf blaster. 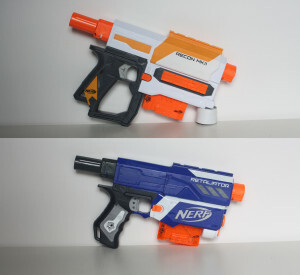 Visually comparing this blaster to the Retaliator it is quite similar, especially in its shape. The major differences are the colours (duh), the tactical rail on the side and the addition of the hand guard, which I quite like. It’s also slightly wider than the retaliator. I really like the colour scheme and its added features, giving a fresh new look to the classic Recon. It has just one sling mount on the bottom of the handle, and two tactical rails. 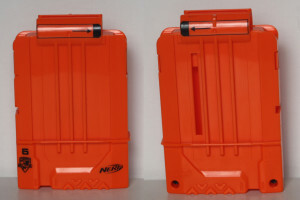 One rail on top of the priming slide and the other on the side of the blaster. When the slide is pulled back, users will have access to the jam door. However, the Recon MK II does work with my 35-dart drum, but it doesn’t function with the Rampage’s 25- dart drum. Performance on this blaster is quite dismal. As soon as I dry fired this blaster, I knew it would have poor performance. It sounds very weak. Note: I am reviewing a grey trigger version. 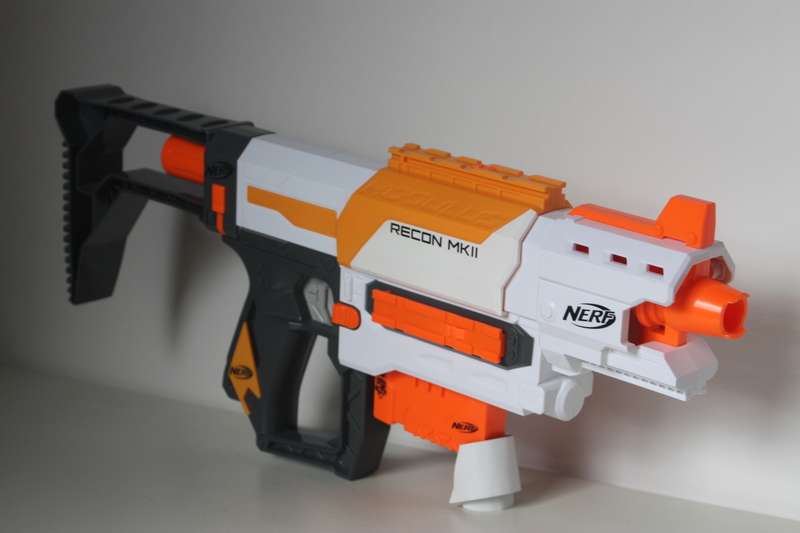 The Modulus Recon MK 2, isn’t a terrible blaster, it’s just that when comparing it to the Retaliator, there is no reason to buy it. Reason 1: A major letdown for this blaster is its inability to use 18 dart clips and drums. Not a problem for the Retaliator. Reason 2: The Retaliator has better fire power. 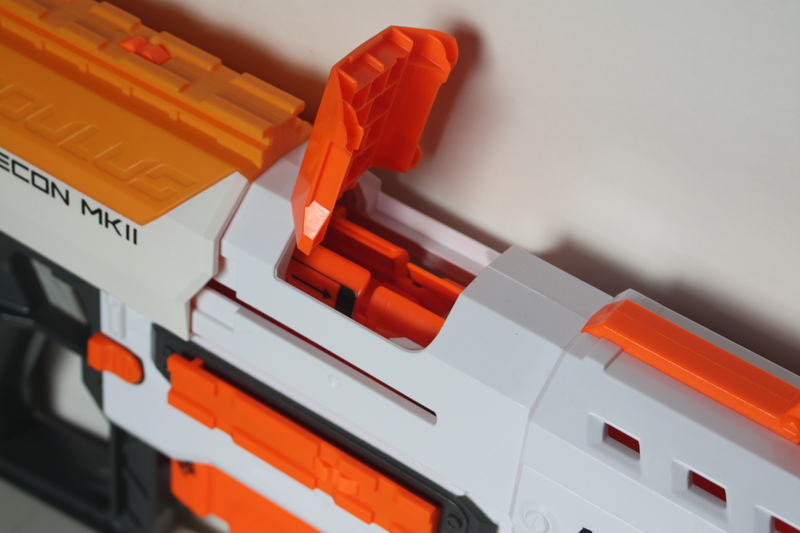 Reason 3: The Retaliator has much better attachments. 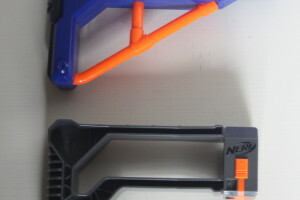 Many will agree that the Modulus attachments are lame. The stock is too short and the barrel extension is useless. The size of the blaster is small enough to be used as a pistol, no attachments are required for it. 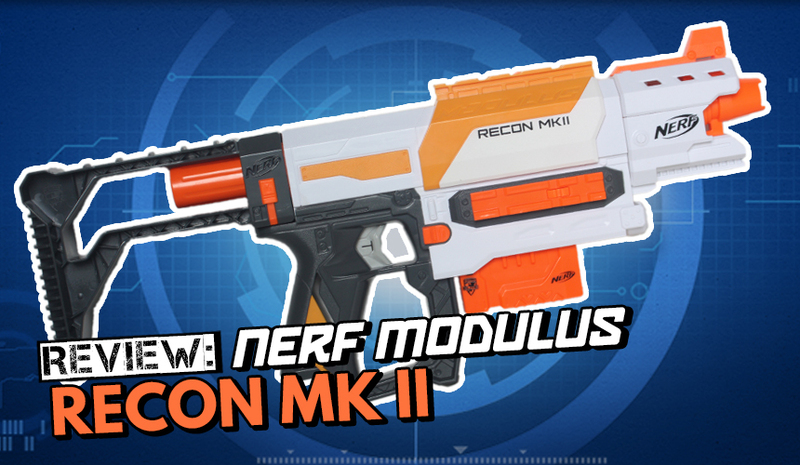 Reason 4: Currently the Modulus Recon Mark 2 costs more than the Retaliator, which is ridiculous as it comes with less and smaller attachments. 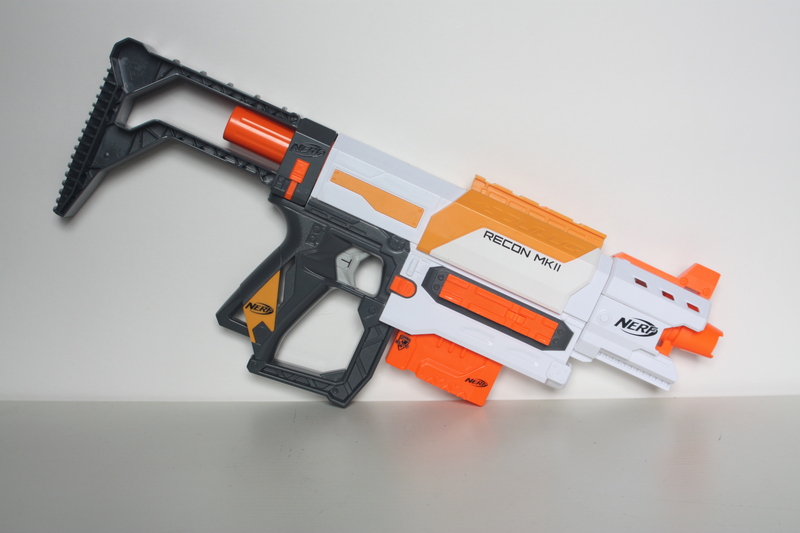 One would assume the Modulus Recon would be a cheaper blaster to produce due to the less plastic involved. 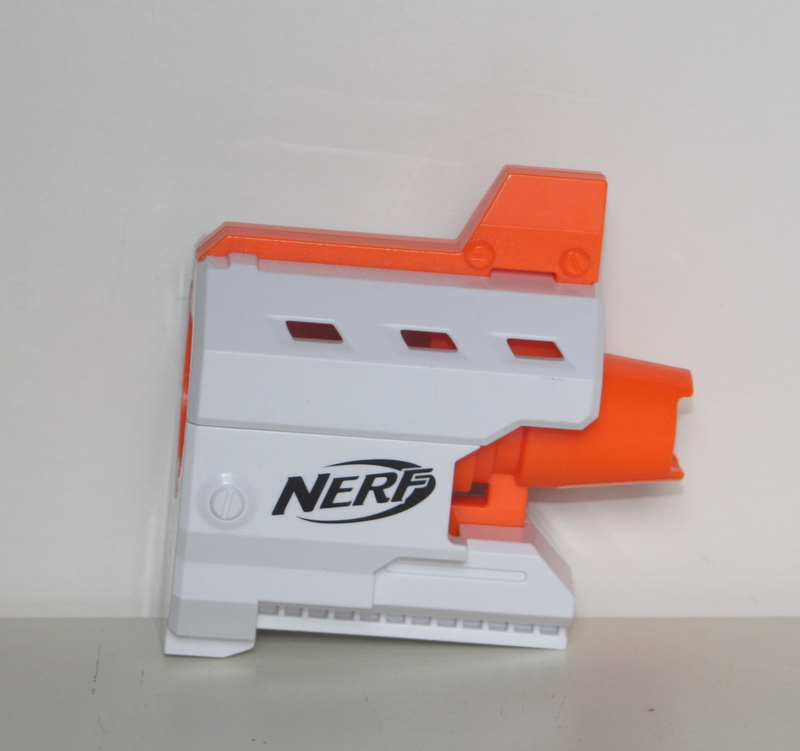 Again, this blaster isn’t terrible, but competing against other blasters there is very little reason to purchase it. 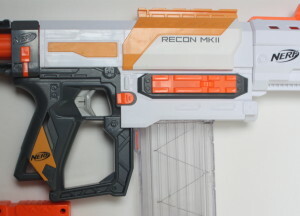 The only exception for purchasing the Recon MK 2 is for its aesthetics (it is a nice looking blaster), other than that, wait till the price is lowered and it may be worth a purchase. * In the near future, Hasbro will release an updated version of this Modulus blaster, being able to use 18 dart clips and drums. 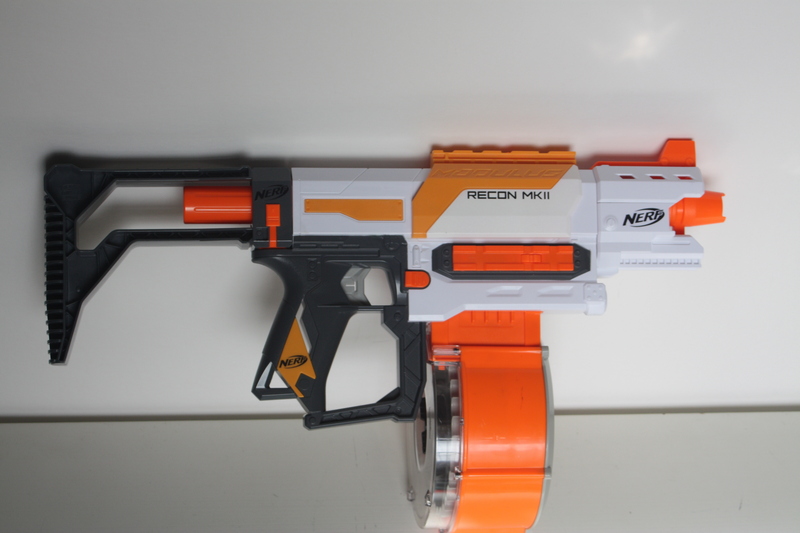 This entry was posted in Reviews and tagged australia, blaster, blaster hub, grey trigger, mk2, modulus, nerf, recon, review on March 20, 2016 by JJ Reviews.